UC Browser temporarily delisted on the Play Store. Yes they are missleading customers. 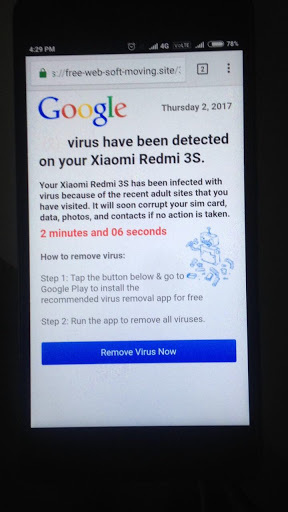 Sometime they use to show the following ad and when you click Remove Virus Now button they used to take you to download UC browsers. We don't know if UC browser directly involve in this or some of their affiate for a commision. But delisting from Play Store seeming approving it. When your have Chrome browser they why you need UC browser. Suggested to uninstall it.